The annual dinner with Dirk Niepoort organized by his UK importer, Raymond Reynolds, is one of the highlights of the wine calendar. These are held in very good restaurants (this year, trendy St John in Smithfield; www.stjohnrestaurant.com) and aren’t overcrowded. The pattern of the evening is now a familiar one. We start off with a glass of something old and fortified that Dirk has liberated from the Niepoort lodge in Vila Nova. Ray then introduces the evening with one of his speeches – it would probably be a bit mean to say that public speaking is not his strongest point, so maybe I’ll just say that his style is unusual, with short sentences, spoken slowly, riddled with pregnant pauses. 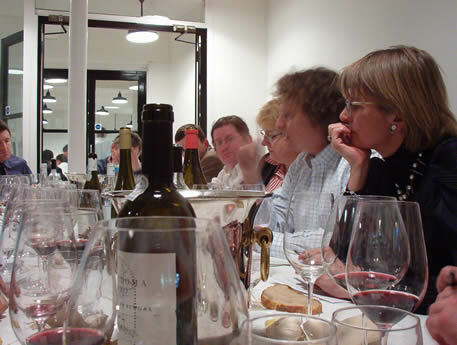 Then we sit down to eat, with Dirk giving a short introduction to each of the wines. This year he has a new theme – that of attention to detail. ‘The difference between a good wine and a great wine is 100 little details’, says Dirk. It seems to be paying off, but you always get the impression with Dirk that he’s searching for a little bit more each year – as a result there’s a sense in which you are anticipating what is yet to come (for example, the 2004 reds), as much as appreciating what he’s already achieved. Now for some serious Port. We tried two wines each from two vintages, separated by 40 years.